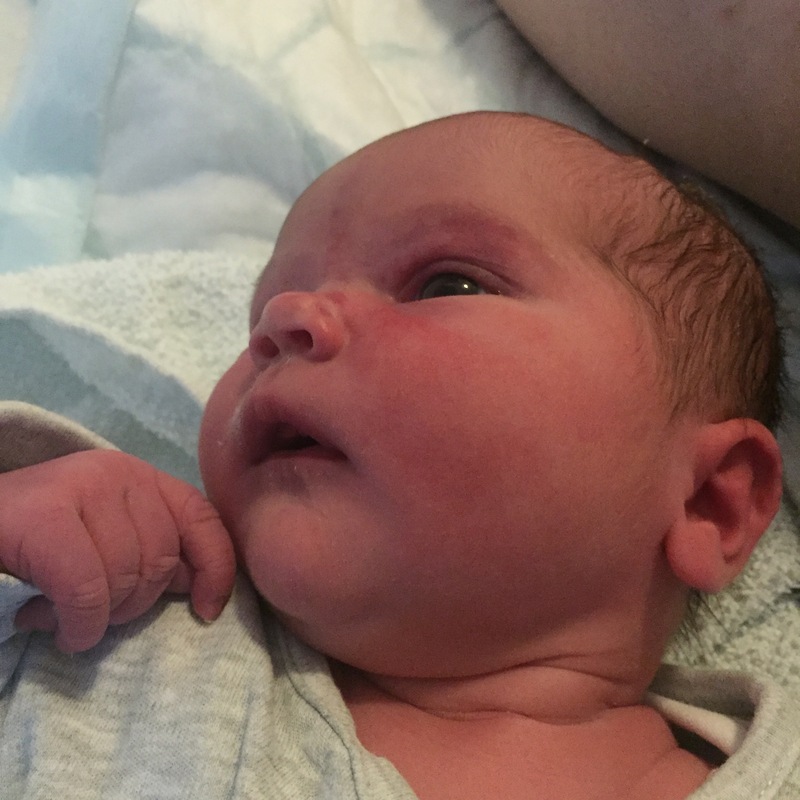 You may have noticed that things have been a bit quiet on here since I wrote about week 39 of my pregnancy. There’s a very obvious reason for that. There’s a new Little Miss on the block here and Bonn and I are trying to remember how cope with sleepless nights whilst also having a new little human to look after. It’s a bit of a shock to the system after all these years of being able to sleep through the night! What motherhood third time around is reminding me of is the need to simplify things in life to fit around the new arrival. With other kids in the family already life’s not as simple as being able to spend lazy days curled up with a newborn and just breathing in that gorgeous newborn smell they have whilst watching numerous box sets and eating all the chocolate that wonderful friends have been sending. Instead there are school runs to do, Christmas concerts to attend, packed lunches to make, school uniform that needs washing and numerous other errands that need running on a daily basis. To keep all the balls up in the air I’m having to take some shortcuts in life, and one of those areas that was most likely to take a hit was my skincare routine. 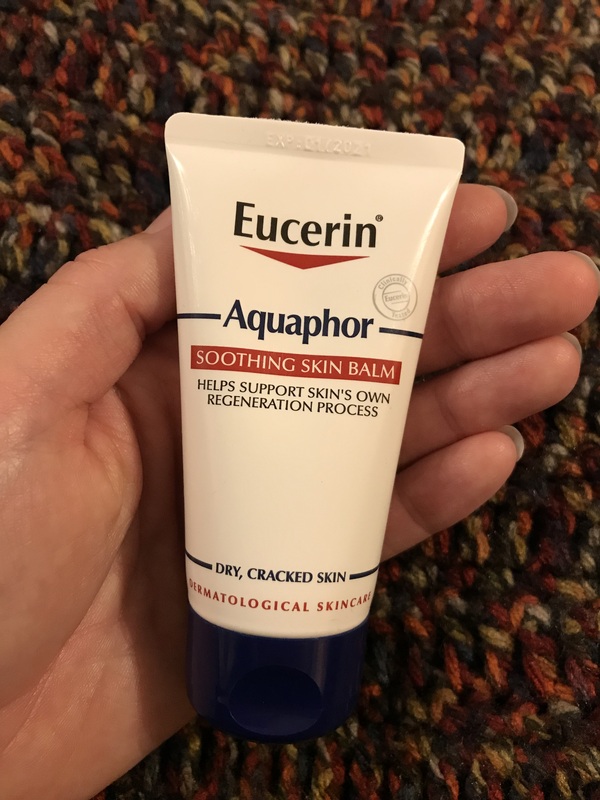 That was until Eucerin Aquaphor Soothing Skin Balm came into my life. The sample of Aquaphor was waiting in the door mat when we returned home from the hospital and whilst it took me a couple of days to get around to opening the packet, once I did it has revolutionised a small part of my day to day life. The beauty of Aquaphor is that you just need the one product, no matter which part of your body you want to use it on. Just the one cream works perfectly for hands, nails, body, face and lips. Imagine that. In a sleep deprived state I don’t have to think about what product I’m picking up from my bedside cabinet or the bathroom shelf before using it. I’ve heard plenty of stories of tired parents picking up the wrong product with hilarious results before! As a new parent you tend to find yourself washing your hands far more than you might normally do. After nappy changes, when washing bottles, after mopping up various bodily fluids, before feeds. The list goes on. If you’re on the go you might also end up using anti-bacterial hand gel when you can’t get to soap and water. All this hand washing can really dry them out and keeping my tube of Aquaphor handy has been a god-send for trying to stop my hands from reaching that cracked painful stage. The turn towards the colder weather that we’ve just had normally plays havoc with my skin, and that’s before you consider how often I’ve been washing my hands these last few weeks. My hands aren’t the only part of my body that I’ve been testing out Aquaphor on though. As anyone who has even been pregnant will know, the latter stages of pregnancy mean that you don’t see your feet for several months! Unless you pay someone to give you. pedicure in those last few months (or have a very understanding partner) then chances are that your feet could do with a bit of TLC after you’ve given birth. Aquaphor soothing skin balm is perfect for tackling the dry, cracked heels that seems to have appeared whilst I (literally) wasn’t looking! Hormones mean that skin on the rest of my body is changing massively at the moment and whilst rushed off my feet I’ve also been trying to look after my skin. I’ve noticed a change in the skin on my face which is a combination of hormones and also the after effects of it drying out during my hospital stay. There’s also what was once a baby bump that is changing daily. I spend much of my pregnancy rubbing various creams and oils into expanding parts of my body in the hope of avoiding stretch marks, and since giving birth I’ve been trying to keep up that regular skincare routine. Again, just having one product to pick up from the bathroom shelf makes doing so so much simpler. Aquaphor protects skin by creating a breathable protective barrier, allowing oxygen and water vapour to circulate to and from the skin. This allows the skin to “breathe” and strengthens its natural barrier function. Formulated with only seven ingredients it is gentle enough to be used on highly irritated skin as well as on sensitive baby skin. My experience with Aquaphor so far has been fantastic. Not only does my skin (on my hands, feet and in-between!) feel noticeably softer, but I’ve also loved how it has simplified my skincare routine. It’s so much easier to just grab one tube regardless of what I want to do. I’ve taken to having my Aquaphor on my bedside table through the night so whether I want to moisturise my hands or put balm on my lips during the various night feeds I only have to grab the one tube. Little simplifications like that make such a difference when you’re so sleep deprived that you don’t even know what day of the week it is!